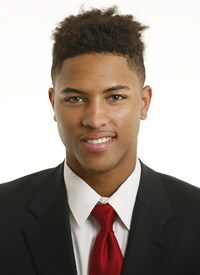 Kelly Oubre Jr. is a lanky wing who has a high ceiling, thanks to his athleticism and scoring abilities. He’s an above average athlete who can finish in transition, drain jump shots, and play passing lanes for steals. A streaky scorer, Oubre Jr. can put up points in a number of ways. He’s a good finisher around the rim thanks to his leaping ability, and can make contested mid-to-long range shots due to his quick release. Oubre Jr. has the length and athleticism to be able to stay in front of multiple positions to stop entry to the paint. He also has the ability to jump passing lanes and turn steals into quick points. Still developing the mental aspect of the game, Oubre Jr. will have to show consistency and progression to be thought of as an elite wingman. He must learn to finish with his off hand, create in the half-court on offense, stay in the game mentally and add a few more pounds to reach his potential. Oubre Jr. isn’t an elite ball handler, which makes it difficult for him to get his shots. His technique fluctuates sometimes and he has an awkward release to his jumper as well. While Oubre Jr. has the physical tools to be a good defender, he has to keep his head in the game. There are times where he’s caught watching when defending off the ball and loses focus. He has also had problems with rebounding. Oubre Jr. needs to be able to box out and hustle for loose balls on a more consistent basis to help with his rebounding numbers. An explosive athlete with a good shooting stroke, but inconsistent effort especially on the defensive end, Oubre Jr. is likely to remind many of Gerald Green. It took a while for Green to become the player that he is today and Oubre could present the same issues. Hopefully he is able to fulfill his potential much sooner as he has all the tools to be a starting wing in the NBA. Kelly Oubre OFFICIAL Mixtape! Kansas Bound Athletic Wing Is FULL of Potential!